Is There a Gender Pay Gap in Education? Teaching isn’t immune from equal pay issues. The fact that 76 percent of American teachers are women is, according to economists, a big part of why the profession as a whole is underpaid. Professions dominated by women tend to get disrespected and undervalued. Think Michelle Williams versus Mark Wahlberg. Or nurses versus doctors. Or preschool teachers (almost all of whom are women) versus high school teachers (nearly half of whom are men). What’s behind men’s slight salary advantage in teaching? Some teachers are NOT on a salary schedule. Yes, 89 percent of us work in schools where a salary schedule of some kind is in place. But 33 US states don’t have statewide teacher salary schedules. What’s more, even in the 17 states that have legislated a statewide standard, the schedules are often just minimums. That means that local districts can expand upon the salary schedule if they want to or can afford to. In short, pay schedules are more flexible than you may have realized. This flexibility allows for differences both legitimate and based on bias or other factors, like location. The more mobile you are (e.g. not tied down to a town by a spouse’s job or your kids’ schooling), the abler you are to go to a better-paying district. As every teacher knows, teaching in West Virginia is one thing, but pay wise, teaching in New Jersey is something totally different. Men are still more geographically mobile in the US than women. This might explain some of the pay gap. There there’s good old-fashioned sexism. Teachers who are men might also be benefiting from gender bias in their favor. This bias occurs in nearly every profession you can think of, from medicine to tech startups to sports. 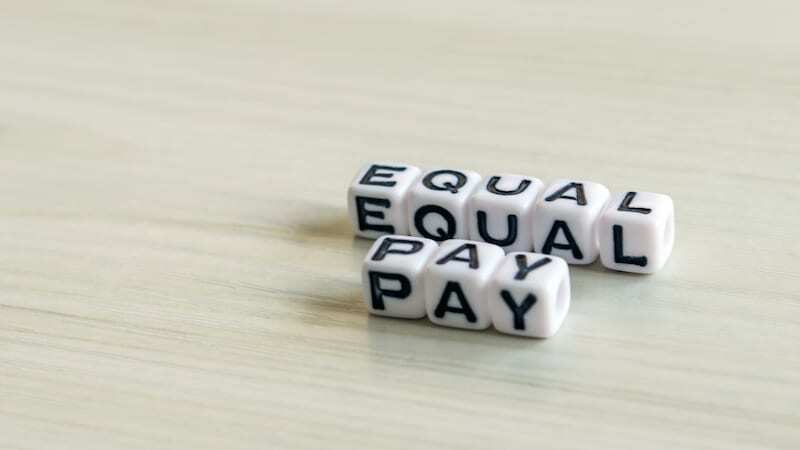 This month, the UK parliament required every large employer to reveal their gender pay gap. It’s been dubbed the #PayMeToo movement. The resulting reports were staggering. Ninety percent of public sector employers are paying men on average 14 percent more than they are paying women. Even when pay is the same, there can still be a fundamental gap that’s based on gender. An elementary school teacher we’ll call Stephanie, who works at a public school in New York City, points this out. Respect is hard to put a price tag on, but it’s worth a lot. The bigger, more important gap? “Although, there are gender-related pay inequalities,” Stephanie said, “at the end of the day as educators we support each other—whether it’s managing a medical emergency, coping with abusive parents, or creating curriculum that shapes new ways of thinking. We have to be there for each other.” Ultimately, she cares much more about the pay gap between teachers and other professionals. Speech-language pathologists (SLPs) in upstate NY, for example, can expect to make between $30,000–$40,000 to start when they work at a public school. If that same person takes the same job at a hospital, she can expect to make more like $70,000. As the striking teachers in Oklahoma and Kentucky illustrate, we have a long way to go when it comes to fair salaries for all—including closing the gender pay gap in education. 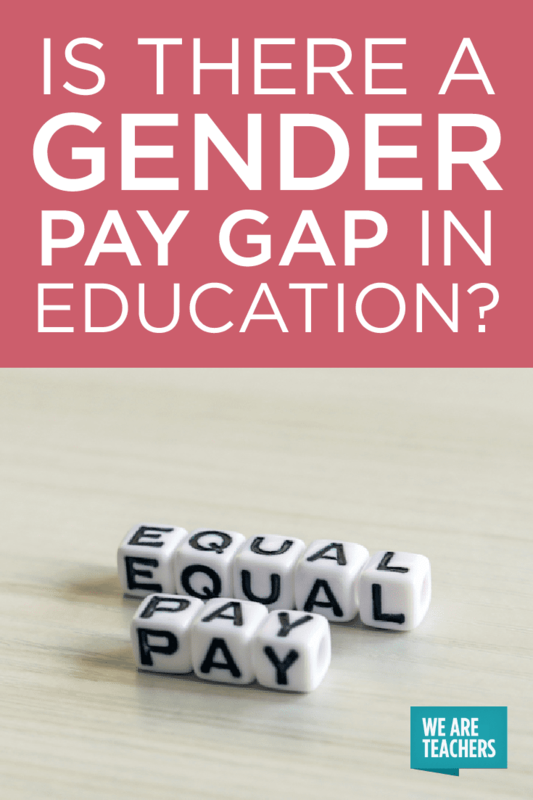 What are your thoughts on the gender pay gap in education? Come and share in our WeAreTeachers Chat group on Facebook. Plus, why teacher depression & anxiety are so common. Emily Hopkins is an editor and writer for We Are Teachers.